I recently played around with Apache and fond it incredibly educational. I used Apache for multiple websites and sub-domains, and its a great web server. 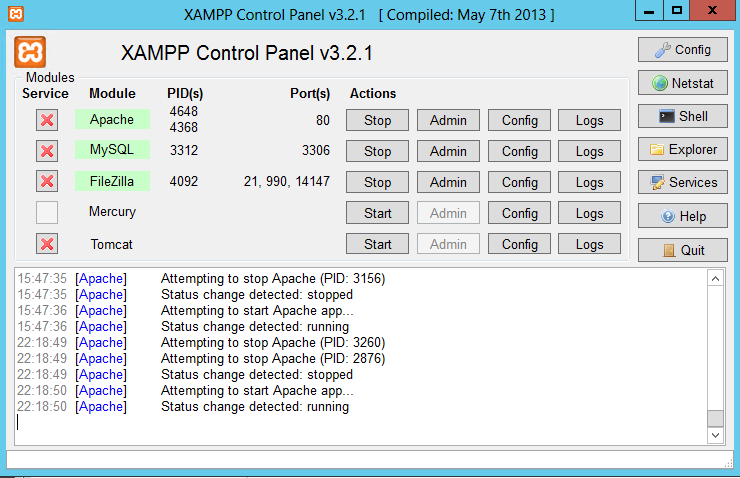 and I like Xampp’s user Interface, allowing me to edit, configure and Error check my site. Don’t get me wrong though, there are some downfalls when putting it through its paces using Owncloud I discovered that php supported was only allowing 2GB uploads, because it is 32Bit, I later discovered that Xampp is only 32Bit for Windows. This was a major disappointment for me, but I still found workarounds. Apache is great and easy to use with Xampp, I recommend that anyone wanting to get into web servers and general Web hosting try it out first. I hosted it on my Windows Server, But using a server is completely unnecessary, I was also able to run it on my Laptop. For a test Environment or to start out on Web Servers, I recommend Xampp. Its a trade up over usability and performance on Windows.